If you have seasonal or environmental allergies, certain triggers can make your asthma symptoms much worse. An allergy doctor or asthma doctor can help you identify your triggers so that you can avoid them and reduce your risk of symptoms. Here are some surprise allergy triggers that allergists want you to be aware of. 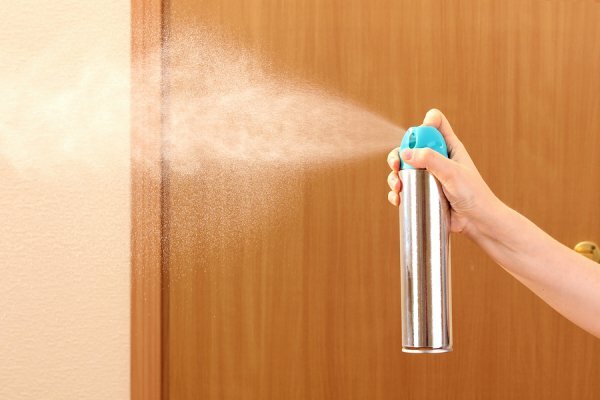 Air fresheners that spray or release scents into the air can trigger asthma attacks and allergies. Air fresheners that use heated, scented oils are particularly problematic. Scented candles can also irritate your nose and throat and cause sneezing, wheezing, and other respiratory problems. Allergy specialists and asthma specialists recommend that you avoid contact with strong, heavy fragrances, especially ones that are aerated. The chemicals in your swimming pool can cause various reactions. Many people are sensitive to chlorine, and may develop eczema, atopic sinus infections, or hives after spending too much time in the pool. Chlorine sensitivity is not considered a true allergy, but it can increase your risk of developing secondary allergy or asthma symptoms. If you break out in hives after swimming, avoid prolonged periods in the pool, particularly right after chlorine is added. During the summer, many people choose to remodel their homes. Unfortunately, allergy doctors have determined that fumes from household paint, paint thinner, varnishes, primer, and other products can trigger asthma and allergy attacks. Other remodeling materials, like plaster, drywall, manufactured wood, vinyl floors, and wallpaper can also trigger asthma and allergies. Ask your asthma doctor about allergy shots or immunotherapy to protect your health. If you’re in need of allergy treatment or asthma treatment near King of Prussia, Jenkintown, Doylestown, Collegeville, Philadelphia, Blue Bell, Lansdale, come see us at Allergy & Asthma Specialists, SM . To learn more about our services, call us today at (800) 86-COUGH.